Premium stone deserves premium care. Generic household cleaners contain acids, alkalis and other chemicals that will deteriorate your stone’s sealant which makes your premium stone more susceptible to staining. 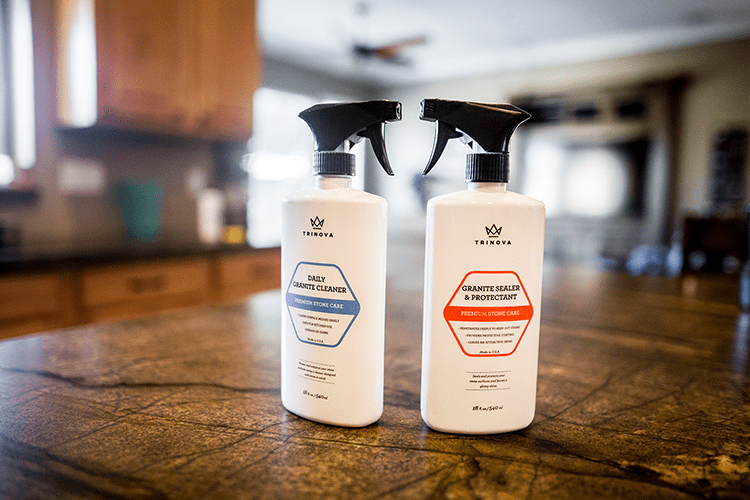 The TriNova Granite Cleaner is a non-acidic pH neutral formula safe for natural stone. Our Granite Cleaner was developed to work in tandem with our Granite Sealer to form the ultimate system for protecting and preserving the life of your stone surfaces. This cleaner is strong enough to deal with kitchen messes while supplementing the seal on your stone, preventing stains from penetrating the surface. The cleaner leaves behind a mirror-like shine after wiping away grime, dirt, oils and other messes. The TriNova Granite Cleaner is safe for all types of premium stone such as; granite, marble, quartz, travertine, slate, laminate, onyx and more. It can also be used on any stone surface including tables, countertops, floors, and showers. 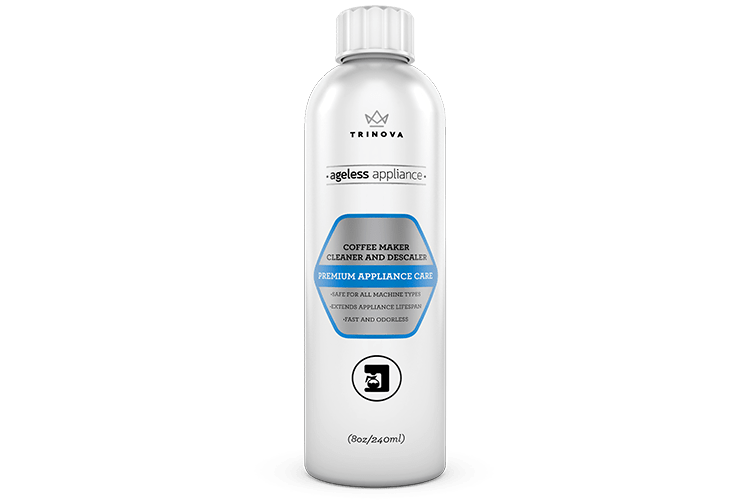 Besides granite, what other surfaces can you use the TriNova Granite Cleaner on? 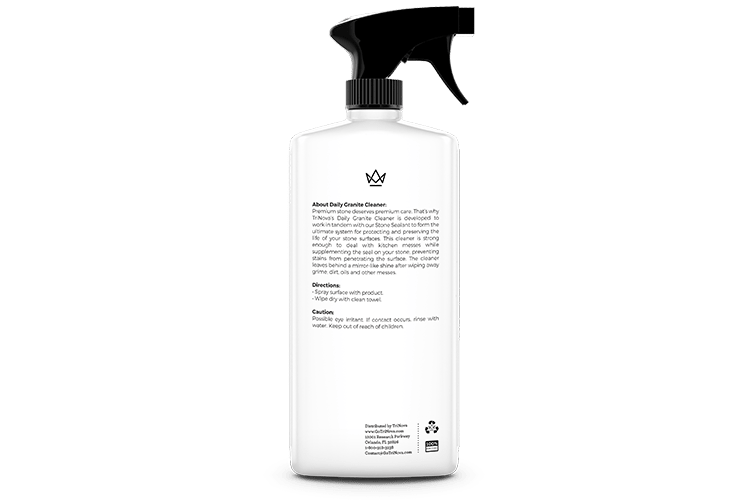 The TriNova Granite Cleaner is pH neutral and works well on all stone surfaces such as; Marble, Quartz, Quartzite, Travertine, Corian, Limestone, Caesarstone, Concrete, and Onyx. It can also be used on stone surfaces such as floors, showers, and tables. 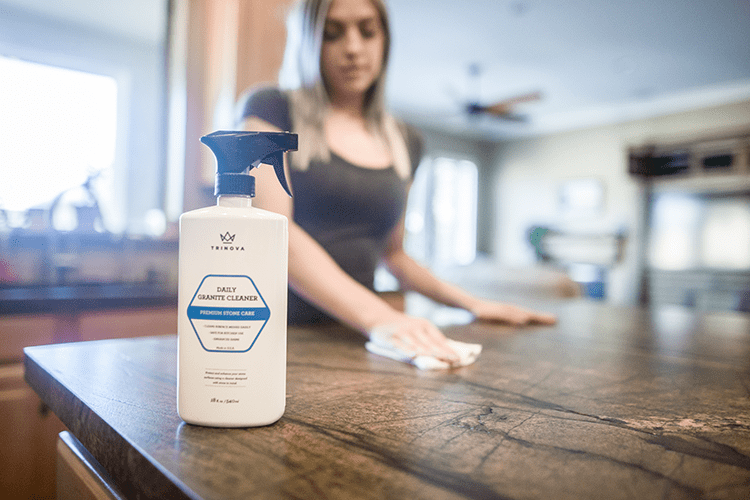 Does the TriNova Granite Cleaner remove water stains? If you are trying to remove stains we suggest spraying the area and letting the product sit for a few minutes. Do not let the product dry. After letting the product sit take a soft bristled brush and lightly scrub the area. Rinse the area with clean water and dry. Some stains are more stubborn than others and may have possibly penetrated the sealant making them more difficult or impossible to remove. Be mindful that acidic liquids like wine, orange or lemon juice, soda, etc. will break down the sealant and stain the surface. So whenever there is a spill on your premium stone you should quickly clean the area. To help prevent water penetrating into your stone surfaces, we suggest using our Granite Sealer once a month and our Granite Cleaner as an everyday cleaner. 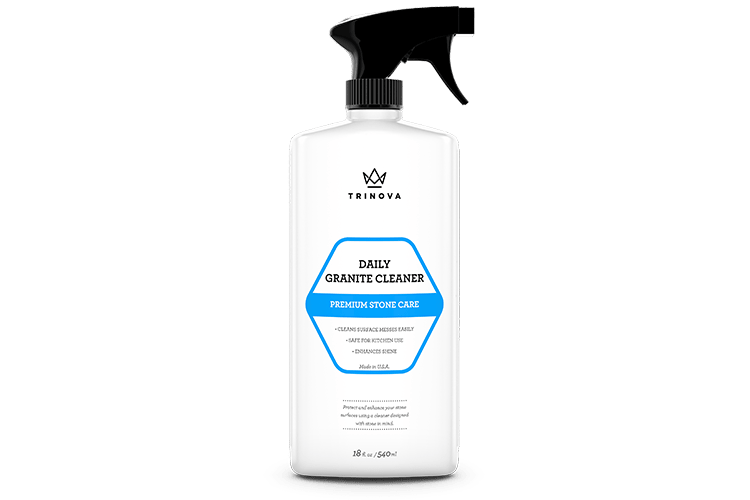 Does the TriNova Granite Cleaner remove oil stains? 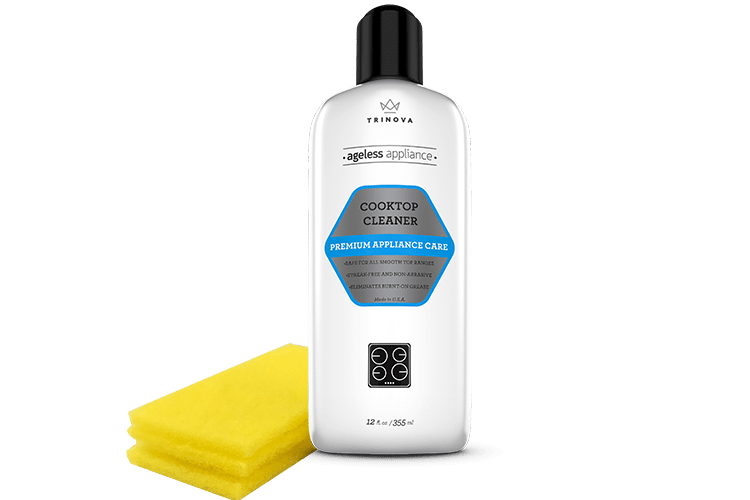 Unfortunately, this product will not remove darkening caused by oils due to the oil soaking into the surface. Unfortunately, the full ingredient list is proprietary, however, we can inform you that all of the ingredients are considered non-toxic by the FDA and EPA. It contains a blend of naturally and synthetically derived ingredients. If you have concerns about avoiding a particular ingredient, please contact our customer service department at any time. I prepare food directly on the counter, is this food safe? Yes, this is a food safe product. It is water-based and the formula and doesn’t contain harmful ingredients. This product has a pH of 7. Will this work on marble? Yes, this product will work on all stone. 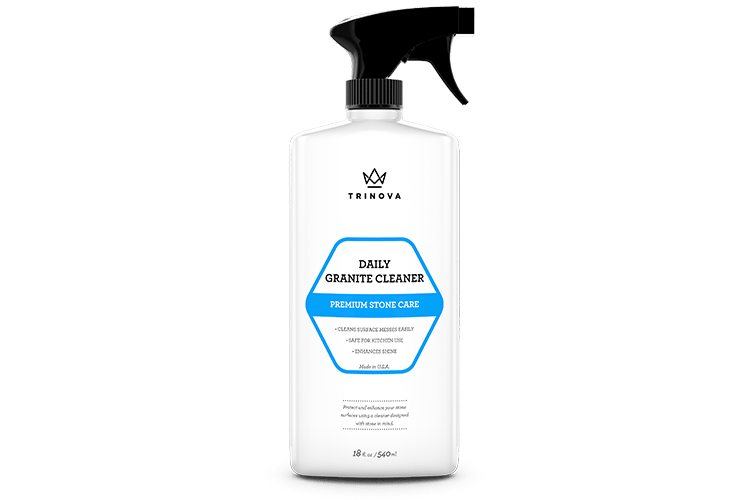 TriNova® Daily Granite Cleaner is rated 5.0 out of 5 by 1. Rated 5 out of 5 by Karisa from Amazing Product-Excellent Value-Works Astoundingly!! I was very tired of paying for a "specialty" stone cleaning product at Home Depot-with a high price to match. Not only was it expensive, but it did not work! After several years of frustration, my mom found this product, and what a difference it has made. Cleaning is a snap, stains are easily and quickly removed, even on black stone surfaces and it smells clean and fresh. I'm disappointed I never found this product prior to today.